I didn't realy cared or knew about this thing before, but in my recent custom I realised it and have no clue to how is this even working. 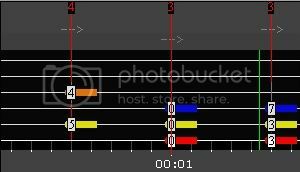 Qustion: How can I set the range of chords or handshapes in EOF?? That is determined by the "width" of the active fret hand position. By default, EOF will generate fret hand positions that reflect the player only being able to play a range of 4 frets without moving his/her fretting hand. 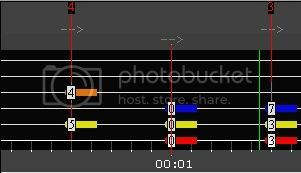 If eof_5_fret_range or eof_6_fret_range are edited in eof.cfg (to indicate which frets on the guitar neck begin being small enough for the player to reach 5 or 6 frets at a time, respectively), chord windows could become 5 or 6 frets wide. Otherwise this would only happen if fret hand positions are permanently added to an arrangement (generated while not saving, or manually defined) and EOF is forced to make the chord window width large enough to display all chords in the scope of each defined fret hand position. And can I manually edit it or I can't? Also, what would happen if I modify the "eof_5_fret_range or eof_6_fret_range" in eof.cfg? If you didn't change those variables in eof.cfg from their default 0 value, that won't be part of the problem. In order to change the chart so that chord windows don't go over 4 frets you will need to either manually correct the fret hand positions you added or have EOF regenerate them. You can also just delete the fret hand positions and let EOF add them automatically when you save the project. The best way to avoid fret hand position problems is to only add them after all notes and chords have been authored. If you change the tablature content after adding the fret hand positions, changes to the positions may become necessary. And how can I correct the phps manually? The main reason why I generate fhps is because the open power chords are not displayd on those frets where I want them to display. Deleting the fhps and let EOF to handle it is not going to solve the problem, because then I have open chords that will displays on unwanted frets. You can re-generate FHPs and then just manually add more FHPs to get the desired effect for open chords. Problem is I already tried that,otherwise I wouldn't wrote this topic.And it doesn't matter if I re-generate all the fhps and then add just a few more most of the chords are still have thise issue. Btw,does the chords displays depends on how close I add a fhp to them?? Oh thank you I will definetly try this out! My only question is how can I put fhps to notes/chords to be there precisely? You can use SHIFT+Pg Up and SHIFT+Pg Dn to seek to the previous or next note position. There are lots of similar shortcuts listed in the Song>Seek menu. Awsome,works like a charm! Thank you very much!